For the past couple of years I have been making and successfully selling my Izannah Walker inspired dolls. They have found homes with collectors around the world. 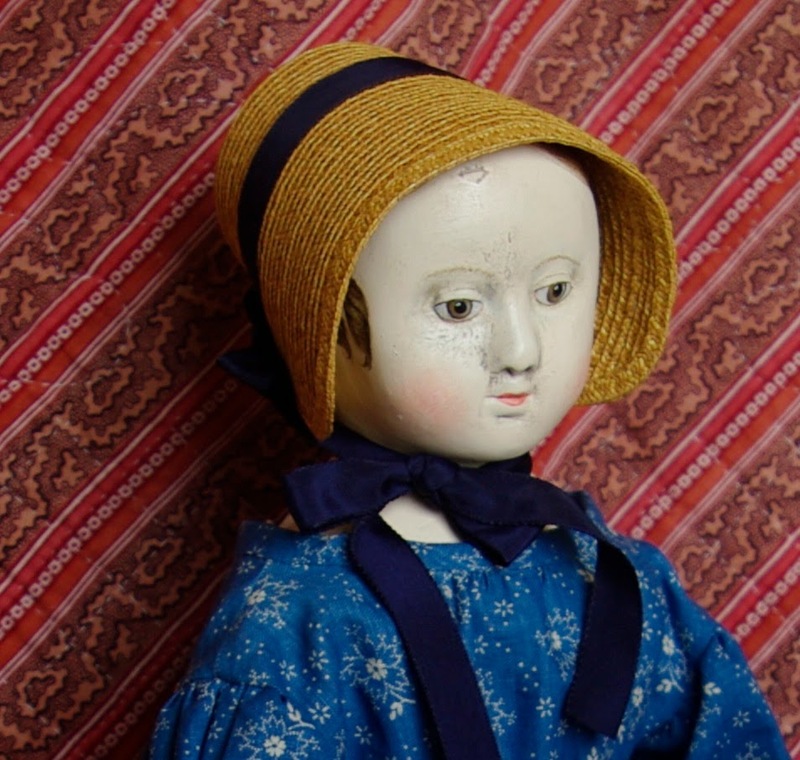 I am delighted that I now have the opportunity to create and pass on to the collector exact copies, capturing every detail of the old but still charming dolls. 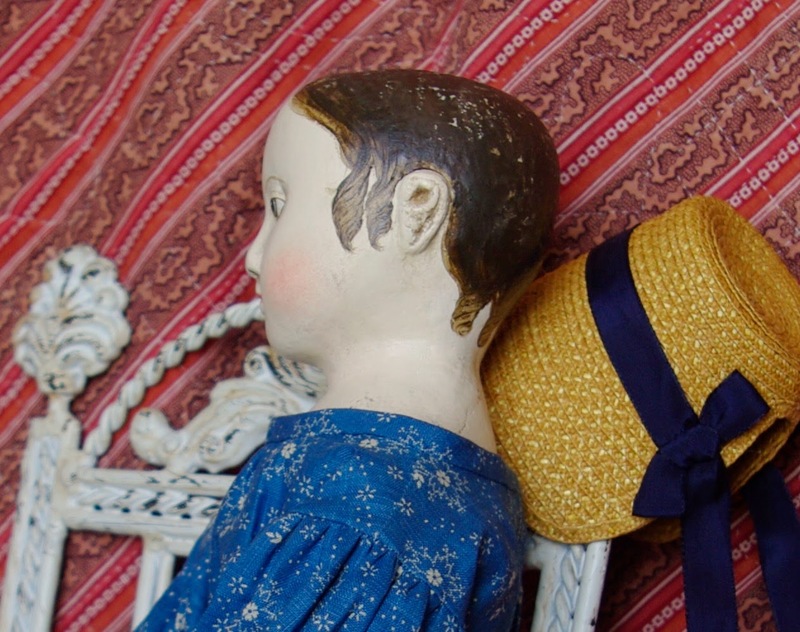 These reproductions show every detail of the original antiques, including the scuffs, the general wear and tear of the originals and even the finest detail such as the texture of the stockinette fabric. Please visit my site often, as I will be showcasing and offering for sale, my latest reproduction Izannah Walker girls. Milly is 16" tall. She comes wearing her chemise, petticoat, underwear, dress and a stunning bonnet with ribbon trim. All of her clothing is made from antique cotton fabrics. I just love this blue 19th century material that I used for her dress. It suits her so well. Two sausage curls either side with a few tendrils for a nice soft look. Nice lacy petticoat and an "IW" label sewn to the hem of her dress. Her bloomers have a draw string and all her other clothing has button fastenings. If you have any questions about Milly please contact me via the contact form on the right hand side of this page. Thank you Edyth. They are made using a liquid composition. This way they take on the absolute appearance of the antique doll.....warts and all. Thank you Lynda, I see the second one now, these are exciting and lovely. Thank you Marian, you are very lucky to own 3 of Kathy's dolls. You sound very talented, making miniature quilts. You'll have to get here to KI one day, it's a great holiday destination. I am so glad that I came over to see her!